Why use North Ridgeville, OH Property Management company? Why use a North Ridgeville OH Property Management professional property management company? Consider the following. You can feel secure as you use our North Ridgeville professional services which work as a system to protect you while maximizing your return on your income property. Landlord clients have reduced risk with our leasing and tenant guarantees as well as our easy out contract. Save money and get your house rented quickly with our professional videos, pictures and descriptions being exposed on 100s of websites and way more. Our 7 point screening process gives owners the best possible chance of getting a great tenant. Rely on our knowledge to most efficiently prepare your house for rent and select an ideal rental price. Property owners can rest easy, and get an uninterrupted night’s rest, knowing our 24 x 7 take that midnight call and dispatch help as necessary. Be in the know and head off potential issues before with exhaustive property walk through video reports. We handle all bothersome collection and emotionally draining collections calls so focus on family and business. No knots in your belly this year when you prepare your taxes because all of the report will be neatly delivered with your 1099. You have the option to lease, rent to own, and / or sell your home, simultaneously, if you desire. North Ridgeville does not monitor rentals. For more information refer here: http://www.nridgeville.org/businesses/permits.asp or 440-353-0822. North Ridgeville is located along the eastern border of Lorain County in Ohio. As of 2012 the estimated population is 30,571. The total land mass is 23.44 square miles and the total water mass is 0.14 square miles. 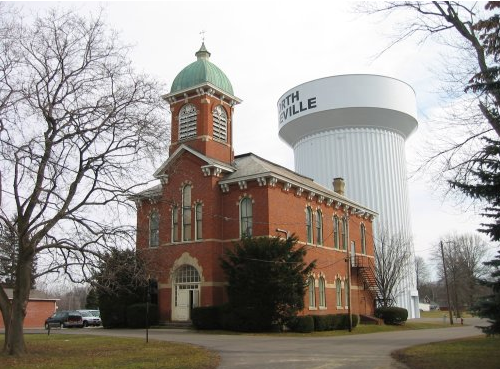 The elevation of North Ridgeville is 728 ft. The estimated density is 1,257.0/ square miles. North Ridgeville has three zip codes: 44039, 44035, and 44011. Its area codes are 216 and 440. North Ridgeville is the third largest city in Lorain County. It contains eight public schools and two private schools. It also has over 10 universities and colleges. North Ridgeville has three shopping centers: Avon commons, Great Northern Mall, and Crocker Park. People come from all over Lorain County to visit these shopping centers. Great Northern Mall and Crocker Park have over 100 stores each that you can shop within. Crocker Park is not only a shopping center, it is an outdoor shopping outlet. People visit there usually during warm seasons so they can shop around while enjoying nice and sunny weather.